JEROME A. BUSCH is of counsel with the law firm of Vogt | Resnick | Sherak. Mr. Busch concentrates his practice on business tax issues involving corporations, partnerships, sole proprietorships, and individuals. He is recognized as a resourceful counselor on compliance with federal, state, and local tax agency regulation. Mr. Busch has extensive experience involving a wide variety of tax and business issues in the areas of income, estate, and gift taxes. He also counsels clients on corporate and partnership taxation, with an emphasis on the taxation of financial intermediaries, such as insurance captives, both domestic and foreign. 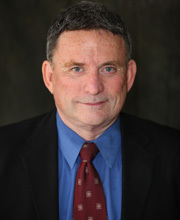 Mr. Busch is a past president of the Taxation Section of the Orange County Bar Association. He has represented clients before the U.S. Tax Court, the U.S. Court of Federal Claims, and various U.S. federal district, federal courts, and California state courts. Mr. Busch received his Juris Doctor Degree from Pepperdine University School of Law where he published an article in the Law Review. He also received a Masters Degree in Law in Taxation from the Georgetown University Law Center. He received his Bachelor of Arts Degree in English Literature from California State University, Fullerton. Mr. Busch was formerly an attorney with the Department of Justice, Tax Division. He also served in the Judge Advocate General Corp for the U.S. Navy.